Preliminary review note: the G9 mouse is a very expensive one, much costlier than the average high-end mouse. 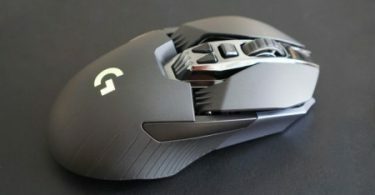 This review pertains to the overall quality as well as the value the Logitech G9 holds in its pricing rather than comparing the other financially sensible options out there (eg. for the average gamer, it would be best to purchase a mid-range mouse and use the extra money on other PC components). Foremost, I would like to introduce the G9 as a mouse for totally premium users. The price range, quite hefty compared to other mice, is past $200 USD. That is often more than three times the price of typical mid- and high-end mice. So while price does not necessarily give a big indication of quality, this does show the different tier it is compared to others. Also, Logitech is essentially the best, or at least the top two, manufacturers in the mousing industry. Their constant innovations in technology and their sensors have provided value for millions of gamers, both professional and casual. So seeing a product that reaches a completely different price from them just excited me as a hardware tester. For this, I could list out all the features mentioned on the product box and just explain how they work or how well they function. But that is kind of redundant, so instead I will list my personal favorite features that I find the most useful in a mouse this expensive. For the average player, maybe precision in a laser mouse is not so noticeable. However, after years of gaming on the PC platform, I have become acquainted to tens to hundreds of different mice, all with their own feel. Playing thousands of hours of videogames will develop a personal sense of how you want your mouse to play, move, and click. I do not pay that much attention to individual numbers like DPI to measure a mouse’s capability because it does differ with people, even to the slightest bit. With the professional-grade laser technology in the G9, I can feel more control than most mice I have used. The precision is definitely there but with the ability to customize every little detail on how your mouse moves truly makes this one the most fit for how you play games rather than having you adjust to the mouse’s settings. Plenty of other controllers have weight tuning. This is not new to the industry and I pretty much expect the ability to change my mouse from heavy to light or vice versa in any mid-range mouse. The weight-tuning in the Logitech G9 is solid but not much more advanced than typical mice. You get the standard metallic weights to personalize the feel of your mouse according to what you are used to. If you like heavy mice, go for it. Lighter mice gives me a feeling of “cheapness” so I typically stray from lightening mine up, but if you prefer it you could do that. Along with the weight tuning, I love the ergonomics of this. It glides effortlessly on my Goliathus Omega pad and feels ultra-smooth. Even after using for hours, my wrist does not get fatigued like other harder-to-move mice do. This one is not as big a gaming feature as it is just a “PC mouse” feature. I love the microgears on this mouse even just for plain PC usage. It clicks so perfectly and is satisfying to scroll with. Little details like this shine through when buying some of the most expensive hardware and just makes me appreciate them. Overall the quality is outstanding. You would expect many fine details to be done correctly from Logitech, especially at this price point. Obviously, I do not recommend to the casual gamer, those who play maybe a couple hours a day and only for fun instead of competitive. 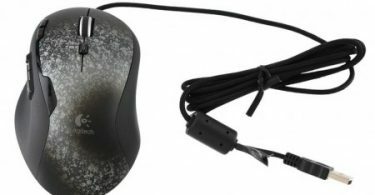 But for more serious ones, or even those that want to try a luxurious PC controller and has the budget to do so (read intro), it is a genuinely quality piece that is supreme over basically any aspect of other consumer-friendly PC mice. Whether the value is there for you (it is more of a personal choice rather than “is the mouse good?”) is up to your needs as a gamer. 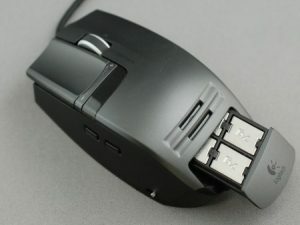 The mouse is expensive, but it may be worth it if you find yourself playing daily and want a customizable extension.